For the first time since we were 16 we are preparing to go Carless! To think that two years ago we had 3 cars and now we are getting ready to have none. 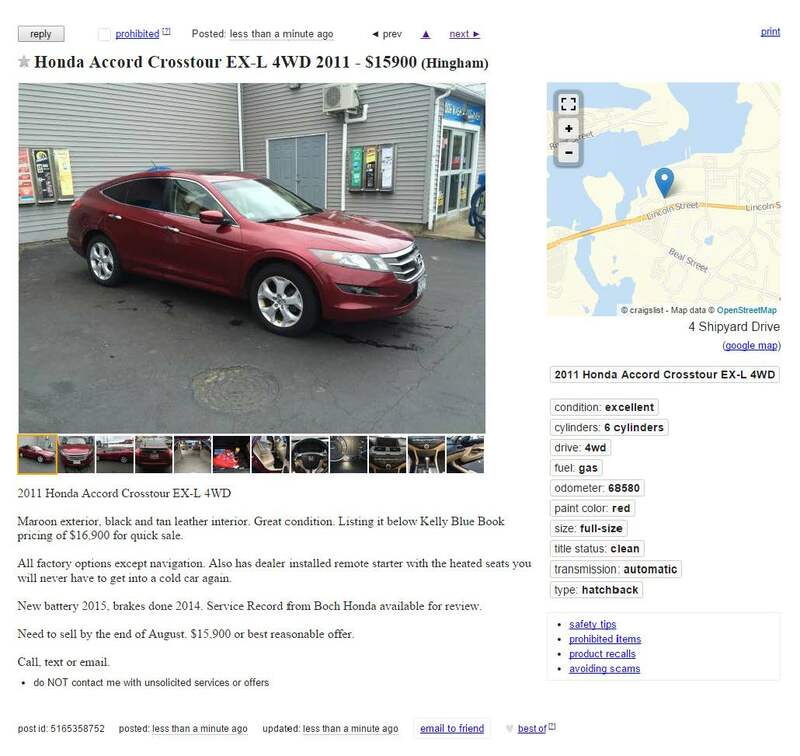 If you’re interested you can find the details on Craig’s List. 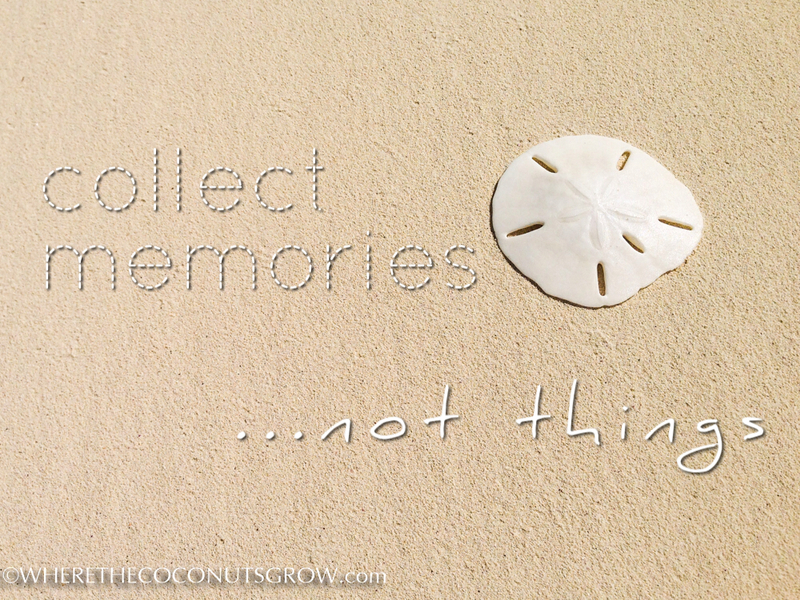 Categories: Getting Rid of "Stuff", Living Aboard | Permalink. I work for a medium sized environmental consulting firm. They have multiple offices up and down the east coast and about 150 employees. My little corner of their world is only 16 employees of which I am one of the 4 senior staff members. I have told the people that work in the office that I am leaving but none of the corporate folks were aware. We have been working on a transition plan for when I leave and it was time we told corporate. For me this couldn’t have been at a better time. I have really been hitting a good stride work wise lately. While I don’t like my job and I don’t want to do it anymore, I like to think I am really good at it. In the last year, one of my biggest clients from my previous company, the largest school district in the state, brought their work to me over my previous company. I have also been getting new work all over the place from local colleges, architect and contractors. This is great because the company has been considered more of a petroleum consulting firm that caters to big oil companies and this work I have been getting greatly diversifies the work. On top of that, I have been able to get this work at better profit margins than many of our other clients. I also run the construction and emergency response side for one of our major petroleum companies. This is a fast moving and stressful part of our portfolio but I have had this side of the work running great. Recently the company put out a report on the state of the company and our office had some of the best numbers in the company and we are setup to have one of the best years in the company’s 22 year history. I like to think I am a big part of why our office is doing so well. So we requested the owner and CFO of the company come up from the Long Island headquarters so we could discussion senior staffing. We told them I was leaving and what our thoughts were on how to replace me. Overall the conversations went well. But it was very intimidating to sit down with them and say that I am going to leave the company in several months. There is always the possibility they tell me to go right there and then. That could be a big blow to the cruising kitty. It’s also a little like being present at your own funeral. You sit there and listen to people breakdown your good and not-so-good attributes as they determine how to replace the work you do. They ask you questions trying to get into your head and understand how I can balance the work I do. Of course there was that moment where the owner of the company said he wished he could do this. Biting my tongue and not yelling at him that he has millions of dollars and could do it if he chose to was the toughest part of the whole day. We hear these types of response often and I find them very frustrating. We are not independently wealthy. We don’t have trust funds or large savings accounts or any other type of cushion. We have an affordable boat that we love. We have thoughtfully outfitted her. But, to steal a recent line from another cruiser/blogger, we have made the choice to live A Life Less Ordinary. This doesn’t happen by magic or accident. It has taken enormous thought and dedication to get to this point. It will take even more to get to the point of cutting the lines. Image from A Life Less Ordinary. Categories: Getting Rid of "Stuff", Living Aboard, Self-Sufficient Cruising, The Crew - Upgrades Needed Here Too | Permalink. We just left the closing on our house. We are now officially houseless sailing bums. Next step is becoming jobless sailing bums. Only 17 more months to go! Saturday we held a yard sale to complete our downsizing. We had already put a good dent into the amount of “stuff” we have by our previous efforts on Craig’s List and eBay. Plus we had made around 5 donation runs to the local Goodwill. On top of that we had thrown out way too much crap that we had been storing in our house for years. Yard sale people are crazy! We advertised the yard sale on Craig’s List and put up some signs in the neighborhood the night before. Everything said it would start at 8AM. We even had to get a permit from the town and one of the requirements was that it couldn’t start at until 8AM. But people started showing up at 7AM while we were putting out stuff. They were rude, pushy and cheap! We were only asking small amounts of money for stuff, 100 shot classes for $5, 50 beer mugs for $5, $10 for a working electric yard trimmer, etc. and they would still offer less. One lady would only offer $1 for what ever she picked up and wanted to go through our house to see if there was anything else she wanted to buy. My Bride said no but the crazy lady tried to follow her in the house anyway. And people stole stuff! A crowbar, caulking gun, Red Sox shot glass. We were only asking a $1 for each of these! By 9:30AM all of my tools were gone, most of the good stuff was gone and we had a few picked over piles of stuff. We called it quits at 1:00PM. We loaded up what ever was left and brought it down to Goodwill. By 3:00PM we were having a couple of celebratory cocktails/beers with some friends. In the end it looks like our grand total for selling about 95% of what we own will buy us a year of cruising. This includes the house, my Jeep, and all kinds of crap we can easily live without. Now that we will have less expenses we hope to add significantly to this amount by saving money. The goal is to have enough money to cruise for 3-5 years. We shall see. Sunday we had Easter Breakfast with our family. We sent to my sister’s house and their were lots of kids. It was fun to watch them run around collecting the hidden plastic eggs. The best part is that we got out of there by 1PM. Sunday was also our 12th wedding anniversary. How did we celebrate it? Big fancy dinner? Drinking champagne and eating caviar? Nope, we moved. We moved almost all of our remaining clothes, most of the galley stuff and other items needed to live to the boat. We are now officially liveabords. We still have some minor items at the house we have to deal with like my tux, some shoes, some spices. etc. But for the most part the house is empty. Our closing got pushed back to May 15th so we have some time to deal with these last few items and clean the house before the closing. It feels like a major milestone for us. A lot of the stress of getting rid of stuff is gone and now we are onto the next stage. Get the boat situated as a liveaboard. There are some system changes to come, replacing the house batteries I cooked this winter, figuring out the best heating solution for next winter, etc. But we both slept great last night and can’t wait for the next 17 months to pass. Big News! Things are coming together. We signed the Purchase and Sale Agreement on our house! Fingers crossed but if all goes as planned we will be homeless on April 25th. That’s about one week after the boat goes in the water. Lots to do between now and then. As we continue to get rid of stuff and hoping for our house to be under agreement by the time the boat goes back in the water in April, we came across a few items we weren’t sure how to handle. As part of our prep to head out cruising we have been buying and reading lots of nautical themed books. Some will make good reference but others aren’t worth keeping around once you read them. 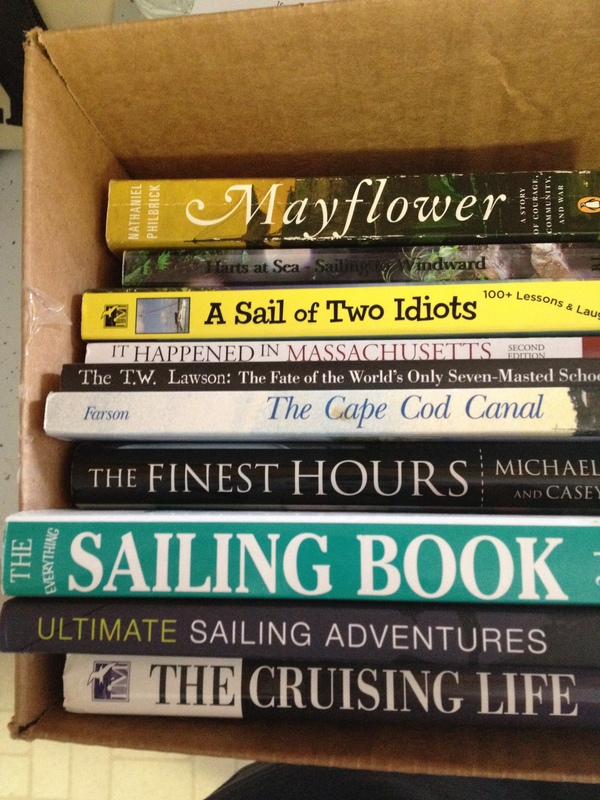 So instead of donating these books with the rest to Good Will, we decided to offer them to other wannabe cruisers. So if you see a title you like, leave a comment asking for that book and we will mail it to you. I can’t say we loved all of them but they did tell us something about the lifestyle we want to live. Categories: Getting Rid of "Stuff" | Permalink. We had a very successful weekend of purging and working towards our goal. Saturday morning we sold an old painting for $200. This is now our largest payday for something that was just lying around our house. Then we went hunting for a storage unit. Found a decent deal on the second unit we looked at. It’s not as close to the boat as we wanted but it will work for the limited things we will keep until we cut the lines. It’s the smallest unit you can rent at 5′ X 5′. This will house our spare boat stuff and off season clothes. We then spent the rest of Saturday in the basement sorting through stuff. A fine way to wait out a snow storm dumping another half foot of snow on us. Man I hate the winter and can’t wait to be south. We started with moving boat cushions and other related stuff to the car to stage for a move to the storage unit on Sunday. We found that a lot of the stuff in the basement was in the donate category. So we boxed it up and moved it to the garage to stage for a run to Goodwill on Sunday. We also ended up with another cubic yard of just trash. Sunday we took a car load to storage then a car load to Goodwill. More sorting and listing stuff for sale on eBay and Craig’s List. A good day followed by a fun night drinking wine with some good friends. This morning we sorted some more, focusing on books and other stuff in the study. Sold a desk and desk chair, to different people. Cleaned the house in preparation for the biggest move of the weekend. My friend George came by and we finally listed our house for sale. With any luck we will be moving onto the boat in April or May permanently. We won’t make anything on the sale of the house. Most likely we will have to pay to get out of the house. But our goal is to be debt free when we leave and that includes any mortgages. Plus the reduced expenses from selling the house and living on the boat full time will let us build the kitty quicker. Here’s to hoping for a quick sale!